Finding the best tattoo design that can be inked on the skin is a process that requires a lot of research. You have to search for the best tattoo design according to your preferences. If you don’t have enough ideas on the best tattoo to choose, you can consult a tattoo artist. Lion tattoo designs have different symbolic meanings, and this has led to the prominence of the Lion tattoo. There are different Lion tattoo designs that can be inked in various parts of your body. All these tattoos have different types of inspiration, meaning, and importance. Because these tattoos are permanent, you need to make a final decision to avoid future regrets. The animals in the jungle fear a Lion and the people who decide to have this tattoo feel great and beautiful. The Lion is one of the best creatures on earth, and that is why Lion tattoos have become popular in the modern society. Tattoo artists have come up with several types of Lion tattoo designs. 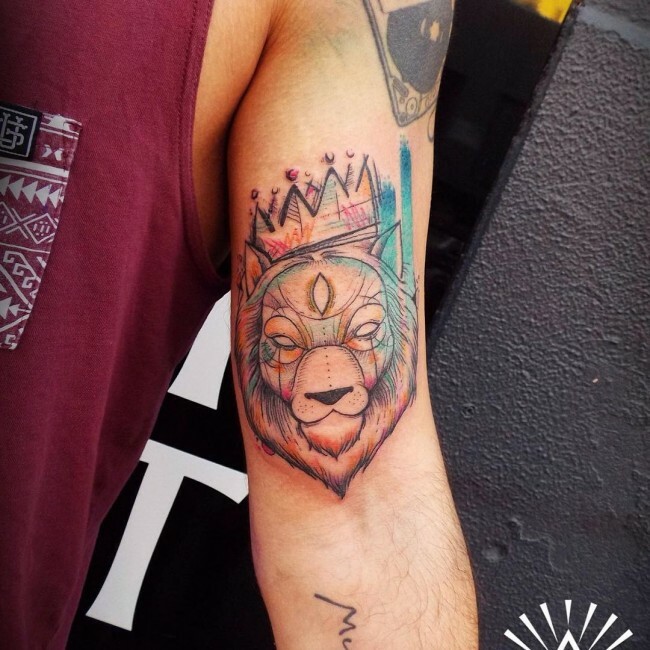 People prefer Lion tattoo designs not only because of their beauty, but also for the different symbolic meanings. In some regions such as India, the Lion is referred to as a Singh and the word, Sanskrit is one of the most common names in the country. People have different and divergent reasons as to why they prefer the Lion tattoo. You can wear Lion tattoo to represent or associate yourself with the dominant persona or the high and noble character of the Lion. 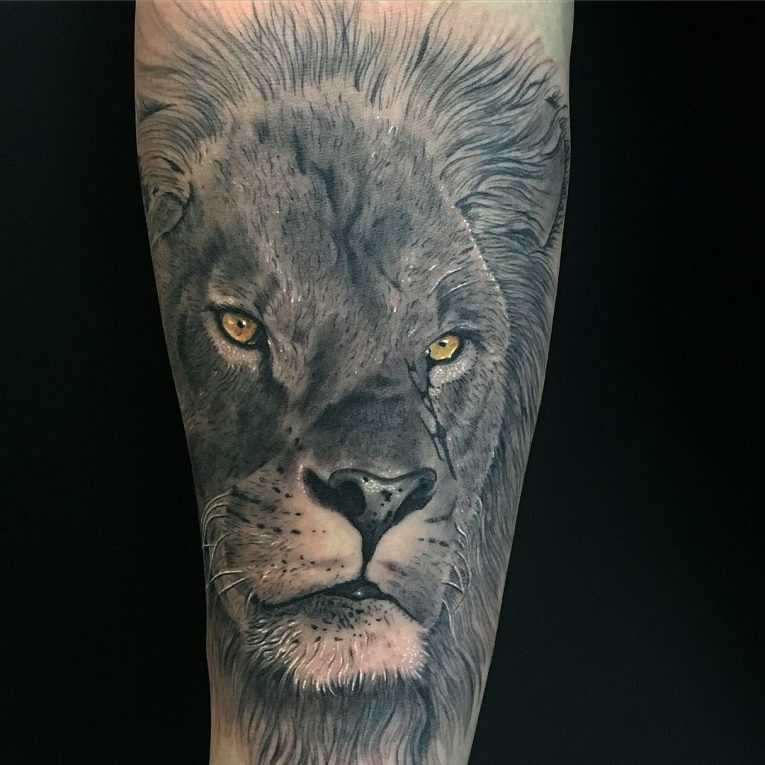 When you wear a Lion tattoo design, it represents the inarguably the prominent symbol of leadership and power, and you can even see sportspersons wearing Lion tattoos. Some Lion tattoo designs show the ferocious side of the Lion while some shows their peaceful and calmness nature. Most Lion tattoos are made by the tattoo designers to fit into different parts of the body and as per the customer request. Some of the prominent Lion tattoo designs include the following. 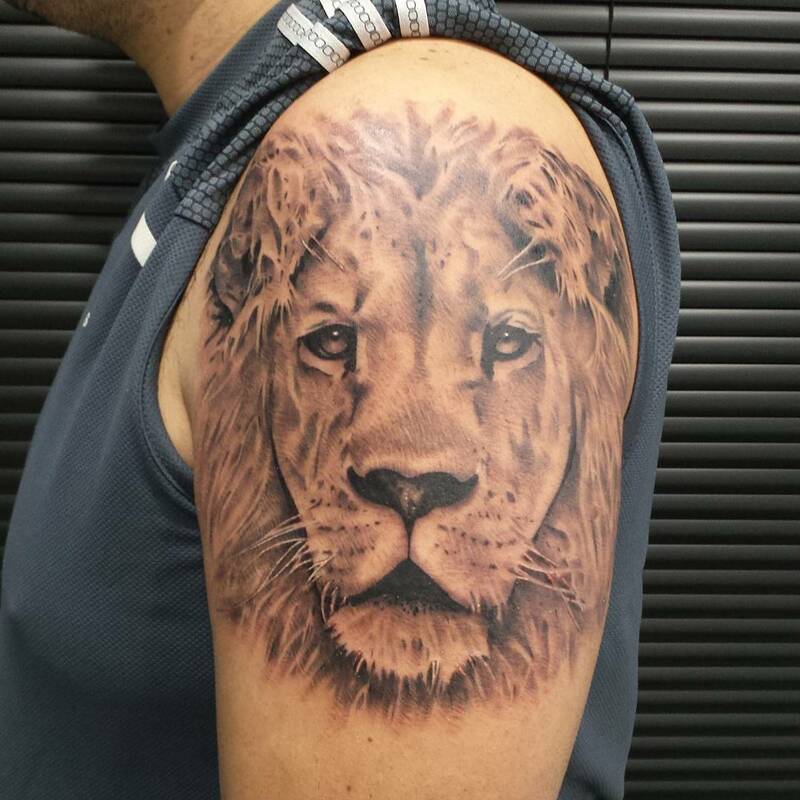 The Lion head tattoo is among the most common and preferred tattoo in the world. The tattoo of a Lion’s head represents power and protection. Just like the Lion is known as a king, it has power and is energetic enough for other animals in the jungle to fear it. In most cases, this tattoo is featured on the back, chest, and the shoulders. The majority of men who consider imparting power and strength in the society prefers the Lion head tattoo. The Lion has some spiritual significance to many cultures in the world. 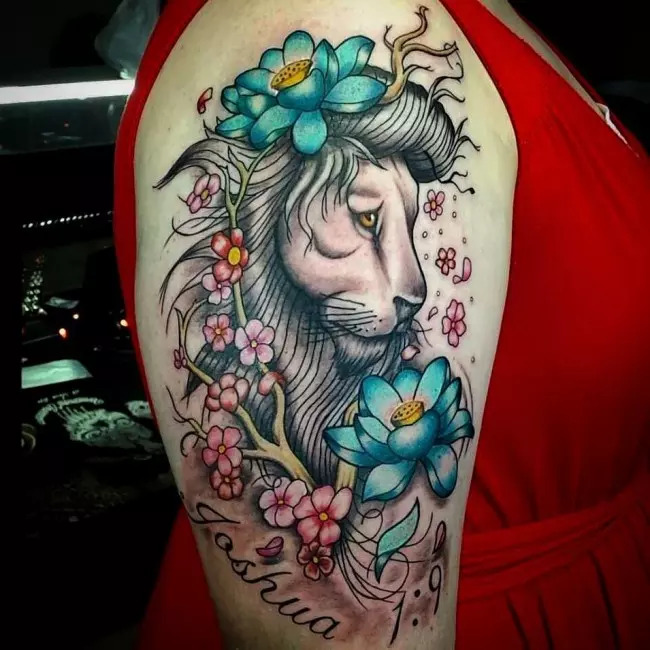 A tribal Lioness or Lion tattoo is among the respected and well known in the world and at times, people associate it with their traditional beliefs. 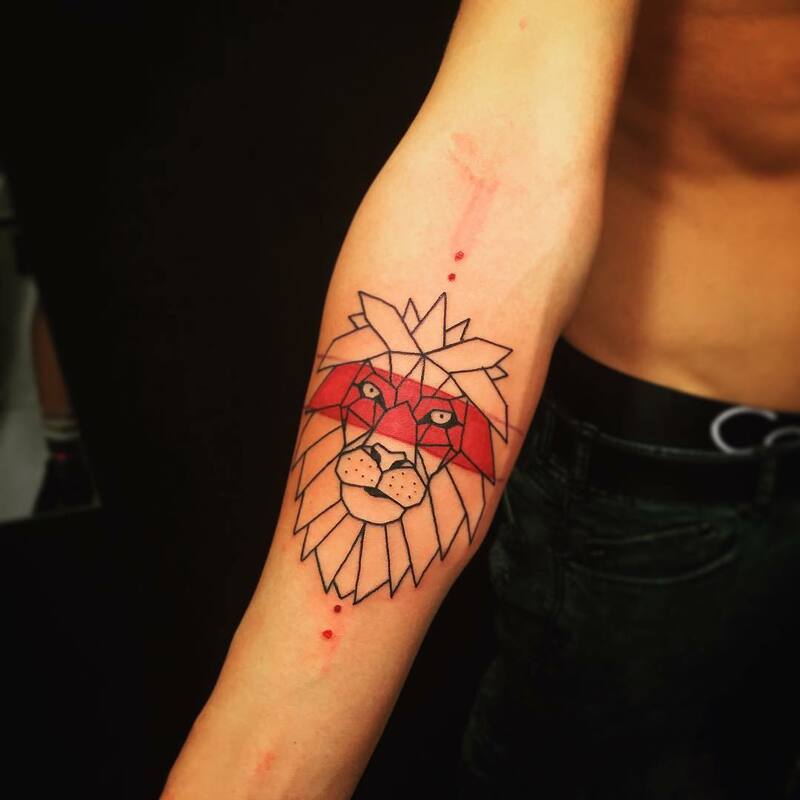 People think that the noble qualities and the leadership abilities of the Lion will be infused into them by wearing the Lion tattoo, and the society will fear and respect them. The tribal Lioness or Lion tattoo represents your spiritual beliefs to the traditional practices and informs the world what you honor, value, courage, and that justice is one of the most important things in leadership. These types of tattoos hark back to the biblical stories of the new and Old Testament. The Lion is the symbol of power, masculinity, and strength while the lamb represents the spiritual strength, Innocence, femininity, and moral purity. Wearing these two tattoos represents your duality as a human being. A normal human being must have a balance between the rational self and passion nature. These types of tattoos also have some religious implications. The lamb represents the child of God that should be protected by the supernatural powers, the Devine, which is commonly referred to as the Lion. The Lamb and Lion tattoos represent a balance of identity and protection that you as a follower of God should follow to maintain the Christina faith. This tattoo has some spiritual implications. The Rasta Lion is usually associated with the crown of a king, holding a scepter that is draped with different colors. The Lion is a symbol of individual connection with the religious teachings and doctrines of the Rasta movement. It pays homage to the believe in tolerance, love, and acceptance in the society, and this maintains peaceful coexistence. Lions are common and respected figures in the Asian cultures even if they are not native to Asia. The traveling Buddhist monks and Hindus brought the idea of the Lion into Asia, which later diffused into their traditions. The Japanese Lion tattoos do not represent the exact picture of a Lion. However, they embody justice, honor, and valor. Even if the actual meaning of the Lion flowers used is different, the general symbol of a flower is gracefulness, femininity, elegance, beauty, and love. Additionally, a Lion is a symbol of power, passion, and masculinity. 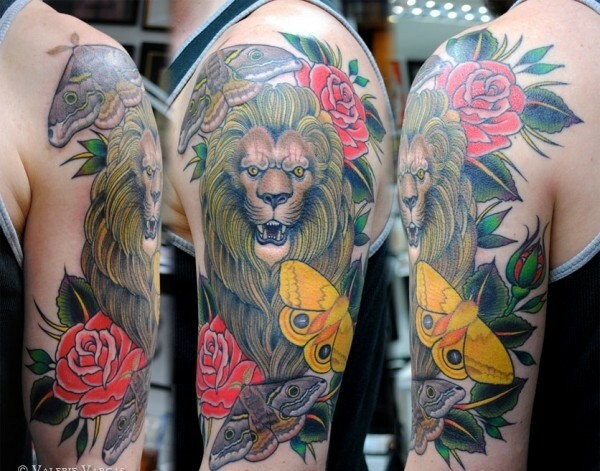 A Lion flower tattoo is an image that juxtaposes two unrelated things to create meaning. This tattoo symbolizes the desire to have a balance between the calm senses and the passionate human nature. While the Lion is known as the king of the jungle, the Lioness is the queen. She is considered to be royal and pride animal with a fighting spirit. The Lioness is seen as the best mother and a symbol of a united family and femininity. Women prefer wearing this type of tattoo because of the role that a Lioness plays as a protector. The Lioness tattoo identifies women who wear it as powerful individuals, who have the courage to protect the weaker members of the society. Lions and Dragons are animals that have brute strength and power. With them, there is nothing delicate. The Lion and the Dragon are the kings of the Mythical creatures and the jungle respectively. Both tattoos represent power, strength, and authority. Wearing such a tattoo shows that you are an individual with strength and courage. The tattoo artists can design them to have a dragon and a Lioness instead of a Lion to represent a balance between masculinity and femininity. A Lion is traditionally known for its fearsomeness and as the king of the jungle. The Lion rules all the animals in the wild and he is the simple of nobility, power, honor, and strength. A Lion tattoo symbolizes authority and masculinity and is not only popular to the gents, but also ladies. Its physical beauty has made tattoo artists to invent different types of tattoos that can fit into different parts of the body.